A week after my MINWR adventure, I once again headed out at the proverbial crack of dawn with Camille – this time for points south. Among the “rare but regular” visitors to central and south Florida are usually one or two Brants. These are nominally northern geese that, along with Snow and Ross’, manage to make their way “too far” south in winter. 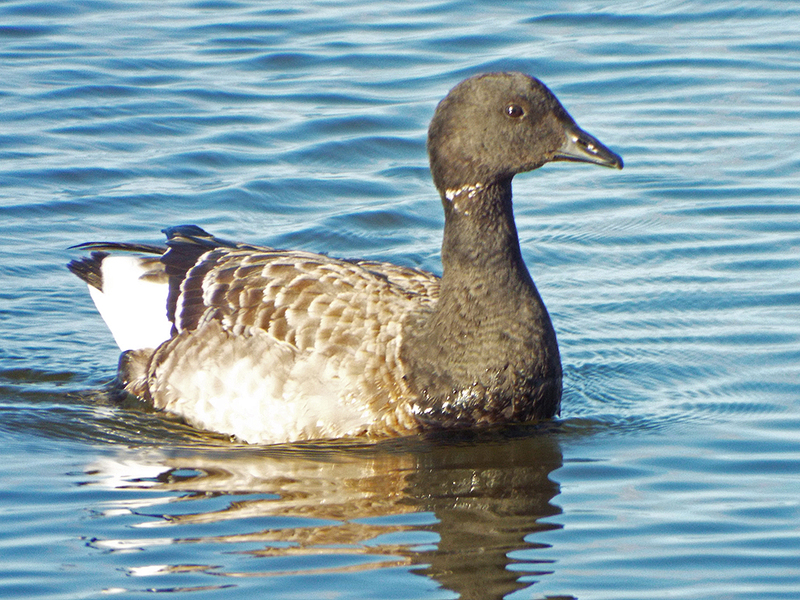 Having missed one of this year’s Snow Geese at MINWR a few weeks ago, I was keen on getting a look at this Brant. The mapped location was in St. Lucie County, which is fairly close, but a county I had not previously birded [map]. It turns out that the bird was seen relatively close to the nuclear power plant! Camille and I made some jokes about coming upon a 100 meter tall goose in the lagoon. The role of nuclear power as part of future energy concerns is a serious topic, both state and nation-wide, but I have no specific reason to worry about this power plant. 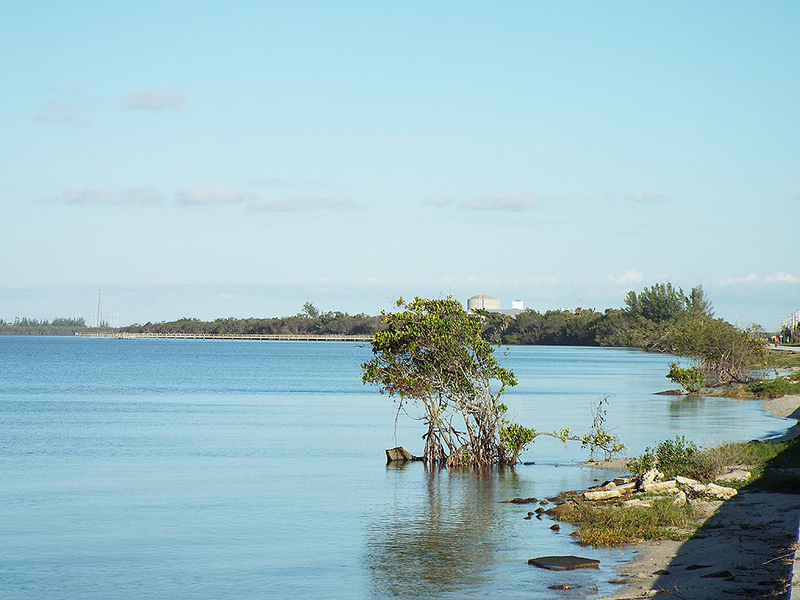 Technically, this part of the Indian River Lagoon is known as Herman Bay. You can see one of the nuclear reactor structures in the background. Just south of the bay the lagoon opens up quite close to the roadway, and it was here that we came upon our first target bird of the day, loosely hanging out with some Red-breasted Mergansers. 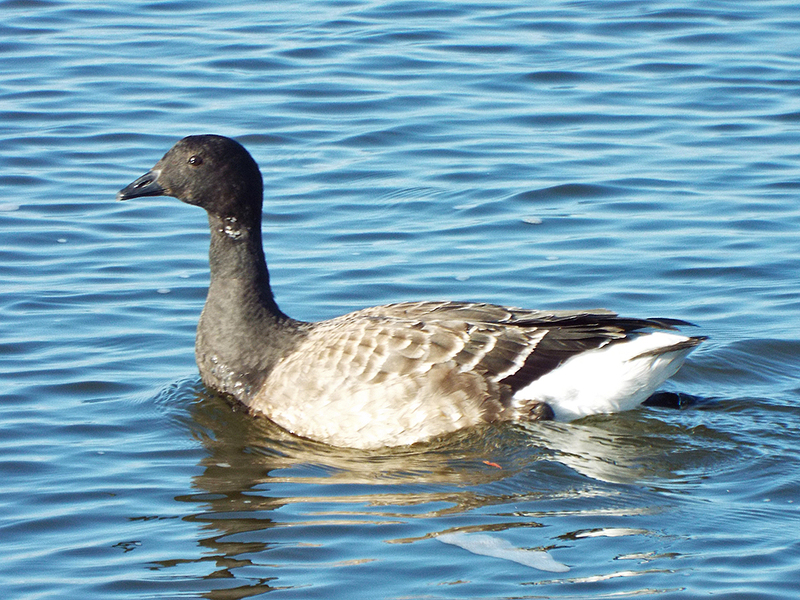 I hadn’t seen a Brant since living in Massachusetts, and it was Camille’s first ever! The relative lack of white around the throat could indicate this is the pale-bellied, or Atlantic sub-species, but young birds can sometimes be confusing. This goose made a couple of close passes to us, obviously curious about us. 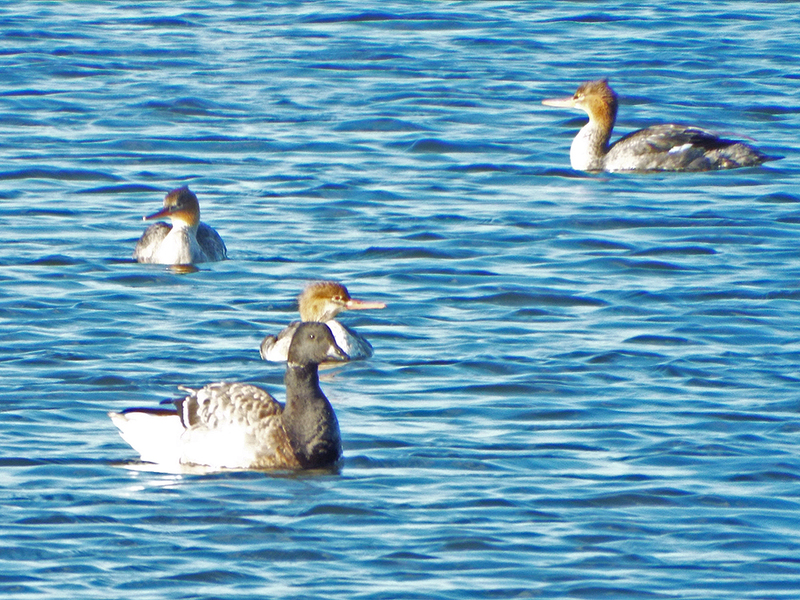 Here is our Brant hanging out with some mergansers. None of these birds seemed to be feeding much. Red-breasted Mergansers are regular winter residents in Florida, but I alway enjoy seeing them, with their punk rock head feathers and bright orange bills. 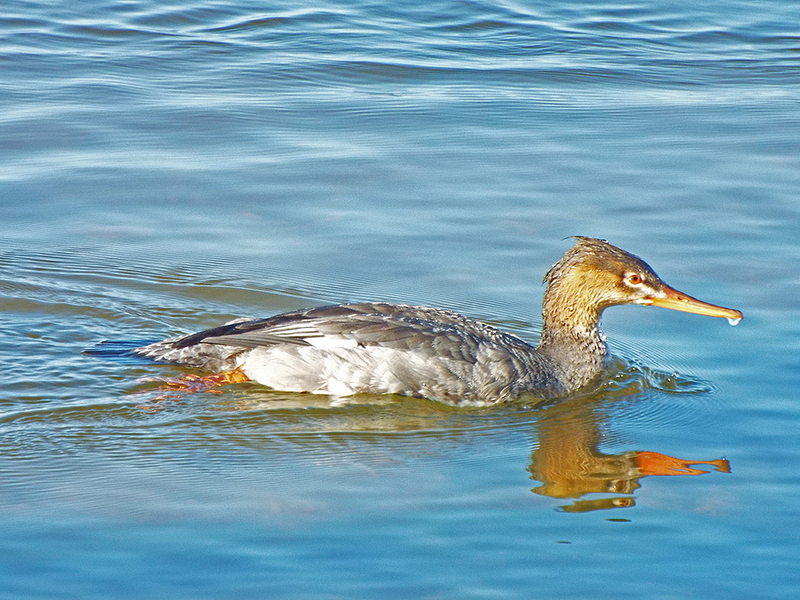 A female merganser, just after a brief dive. After looking around a bit for sparrows and winter warblers, it was time to move along to our next destination and target. 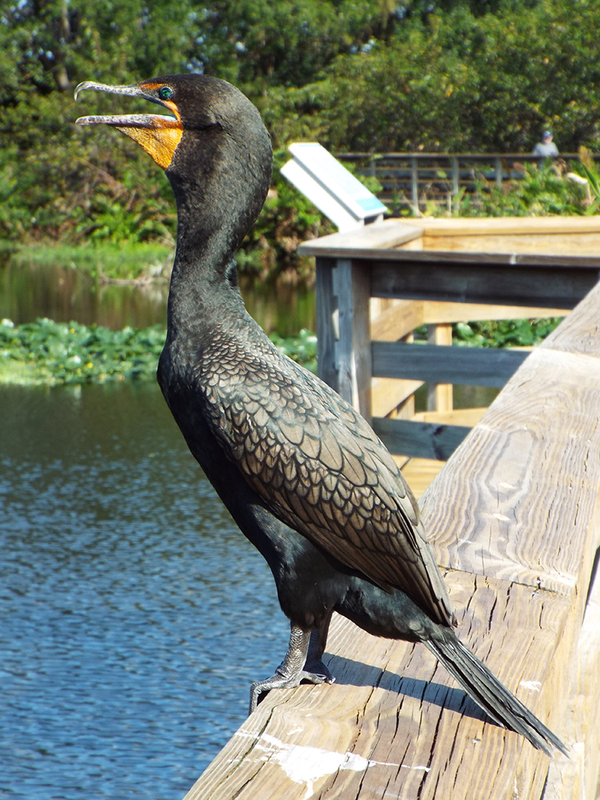 Neotropic Cormorants are a regular visitor to south Florida, but at least one bird has been calling Wakodahatchee Wetlands Park [map] home for the past several years. I looked for this bird in June, to no avail, so I was keen to get a look at it. As far as urban parks go, Wakodahatchee is a real gem, and despite the huge number of visitors, the park is an important rookery for Double-crested Cormorants, Wood Storks, and several heron and egret species. Most of the nests were empty at this point in the Fall, though some noisy cormorant fledglings were testing out their flying abilities. A Double-crested Cormorant fledgling had made it across the water from its little island, but seemed unsure about making it back. Note the open bill and expanded gular pouch. The cormorants were fluttering their throats with bills agape, trying to stay cool in the unseasonable heat (it was in the upper 80s). 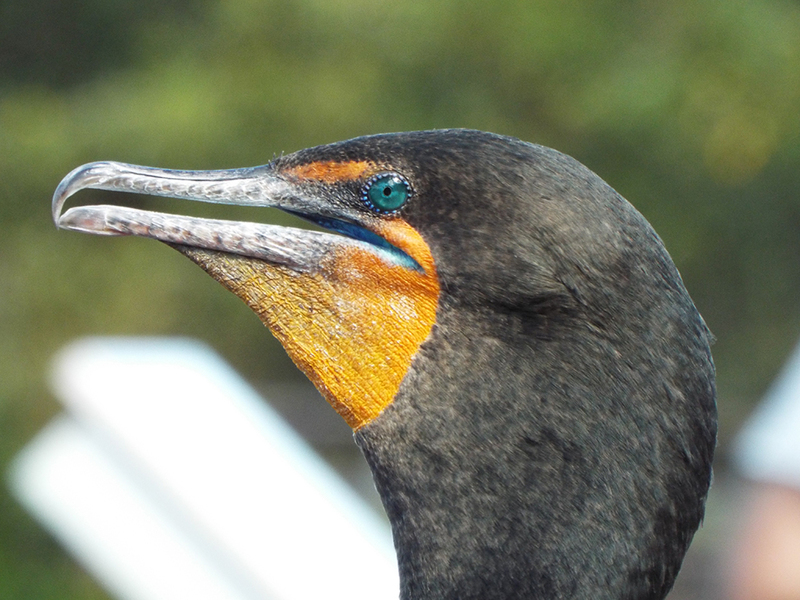 It’s amazing to me how different cormorants can look depending on their bill position. Bill open, gular pouch expanded. 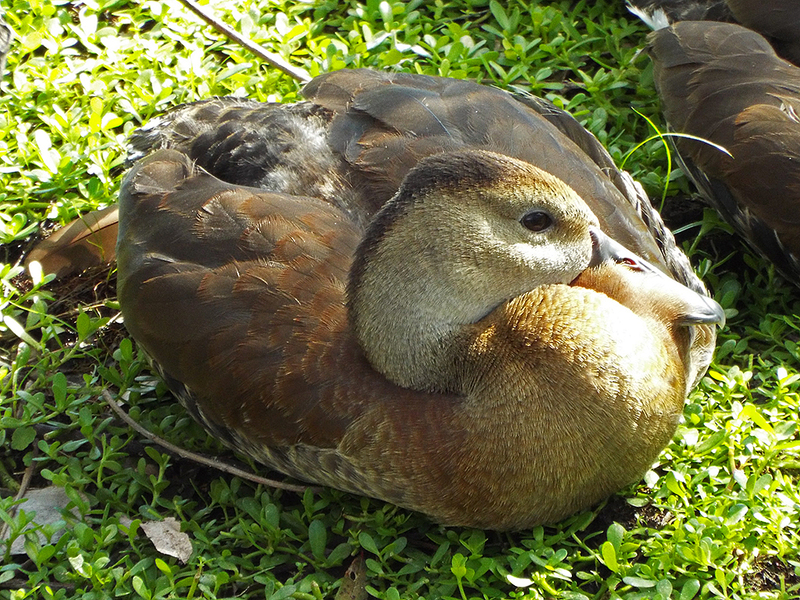 Black-bellied Whistling Ducks (another neotropic bird species that is found more and more regularly in Florida) also live around the park year-round. We saw several groups of them, including one mother duck with a retinue of “teenage” ducklings, resting in some shade. Momma duck, taking a much needed rest. 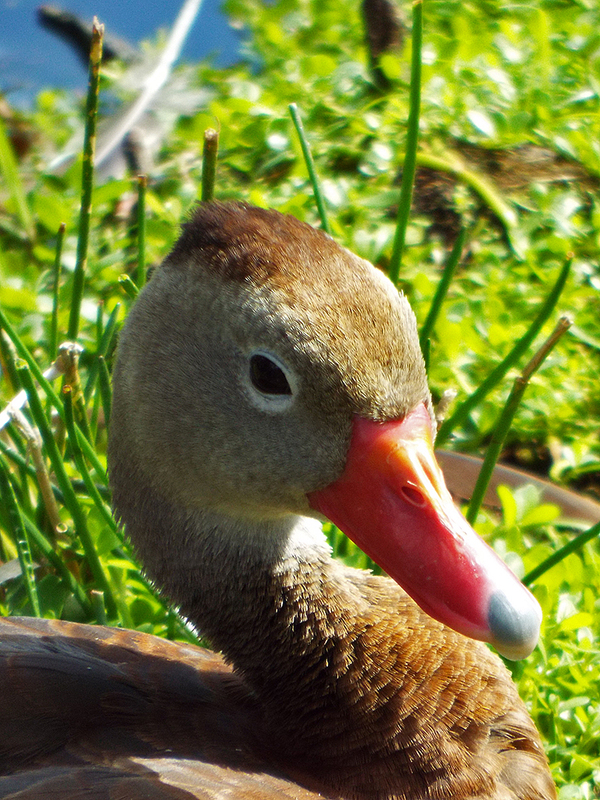 One of several immature Black-bellied Whistling Ducks hanging out very near the boardwalk. Soon this bird will acquire the black feathers and pink bill of an adult bird. 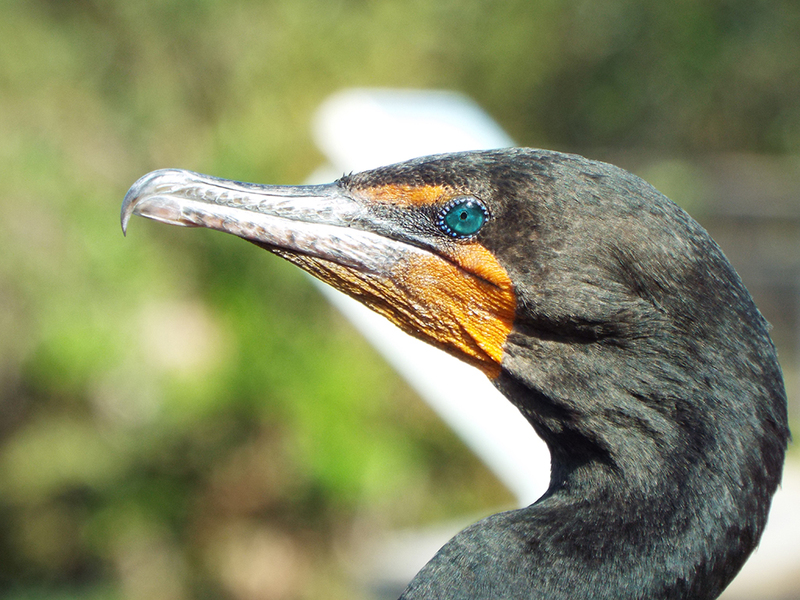 We did finally manage to see the Neotropic Cormorant! Where are the photos, you ask? I have none. For the most part my balky camera had behaved enough for some reasonable photos (as I hope you can see, above). But the distant shots of the Neotropic Cormorant seemed too much for it. Camille and I took some long long binocular looks and compared the bird’s bill, tail, gular pouch, and relative proportions to the many Double-crested Cormorants to nail down a positive identification. This marked my first ever look at this species, so I was excited! 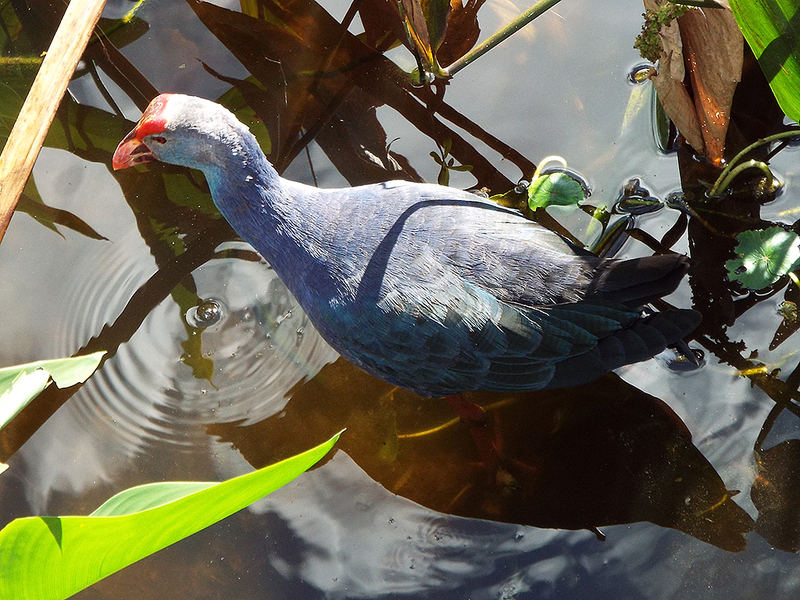 Another newcomer to the Florida bird scene is the Gray-headed (or Purple-headed) Swamphen. These robust and aggressive relatives of the gallinules have been rapidly expanding northward from south Florida in recent years. It’s unclear exactly how the species began its infiltration, but it is a common resident in an ever increasing number of areas. 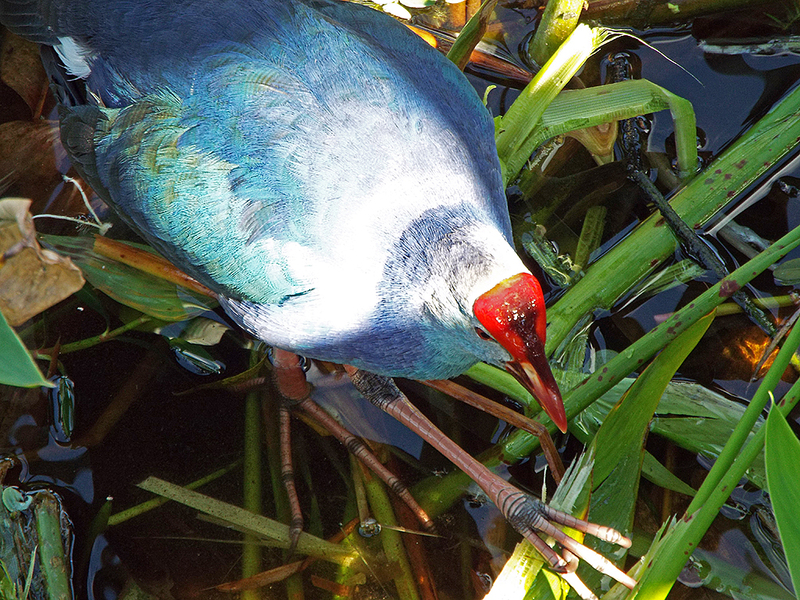 Gray-headed Swamphens have larger, heavier bills than gallinules. Long toes help swamphens walk on floating vegetation and with grasping submerged roots to feed on. They are omnivores, eating insects and crustaceans, as well as lizards and even small birds. 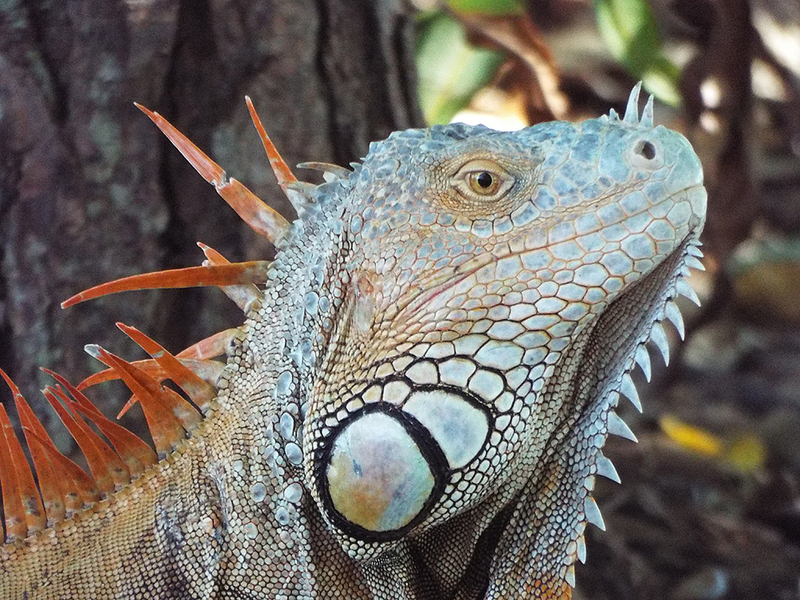 Wakodahatchee is also well known for its large and photogenic population of feral iguanas. Some large (over 1.5 meters long) specimens were in evidence that day. If you have ever considered having an iguana as a pet, please bear in mind at how large and long-lived these animals are, and don’t commit to caring for one without all the facts. If you do have one and can no longer care for it, please PLEASE, do NOT release them into the wild. Please contact an iguana/reptile rescue organization. Feral animals cause major disruptions to native ecosystems by using up resources (food, habitat, shelter) that many of our local animal friends depend on, often out-competing them. This isn’t the feral animals’ fault, and a solution to the problem is complex and will take some time. 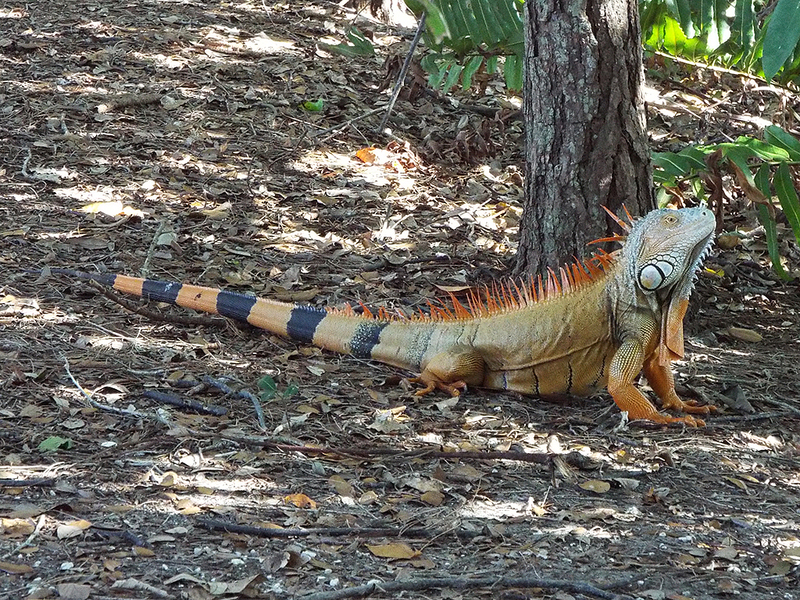 This adult iguana was almost two meters (six feet) long! Toward the end of our walk, we managed to come upon a few loose flocks of warblers and gnatcatchers, but the best was flushing out an Orange-crowned Warbler for Camille’s second lifer of the day! We made a couple of additional stops on our way back north, including Ocean Ridge and John D. MacArthur Beach State Park, both in Palm Beach County, where we had some usual fall birds, including some Lesser Black-backed Gulls. 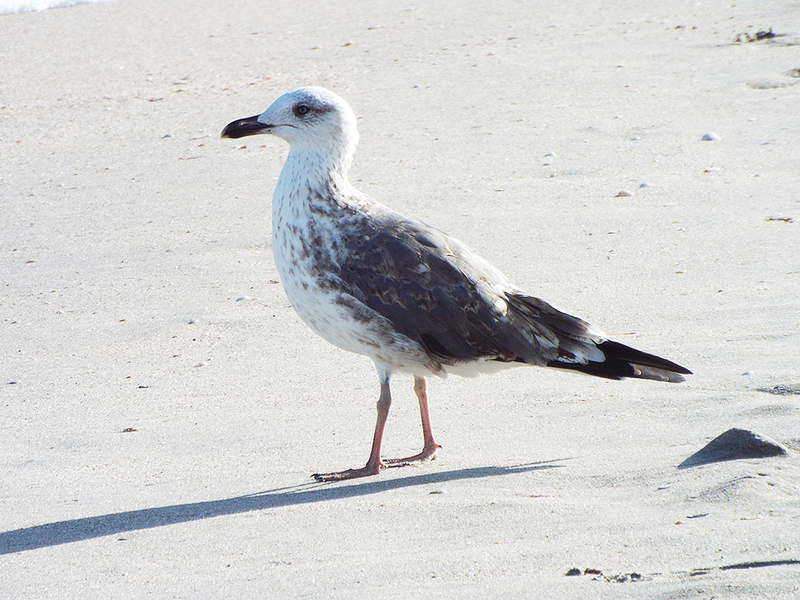 Immature Lesser Black-backed Gull, showing black bill and pinkish feet. 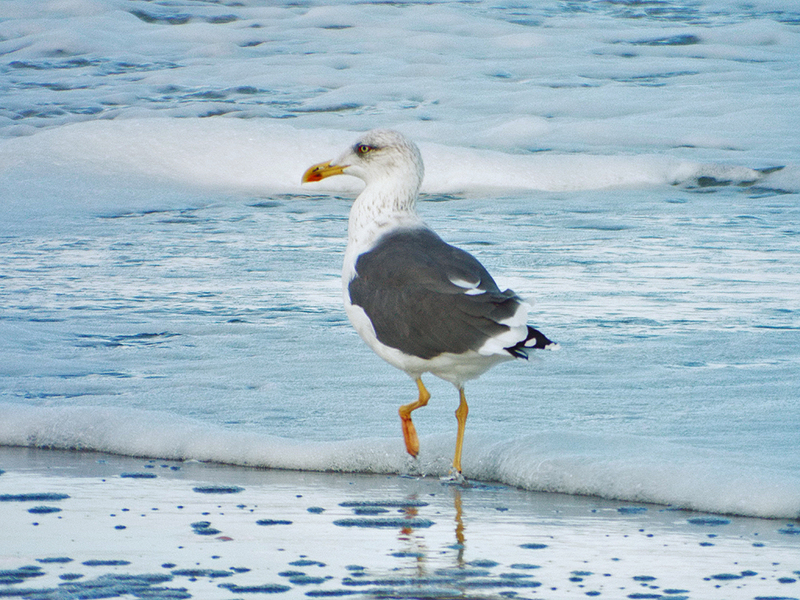 Adult gull with bright yellow bill and feet. Those, plus the gull’s size and dark gray back, are diagnostic field marks for the Lesser Black-backed Gull. Posted on 2017 December 13 2017 December 21 by Lonely BirderPosted in BirdingTagged Birding, birds, birdwatching, John D. MacArthur Beach State Park, Palm Beach County, St. Lucie County, Wakodahatchee Wetlands.